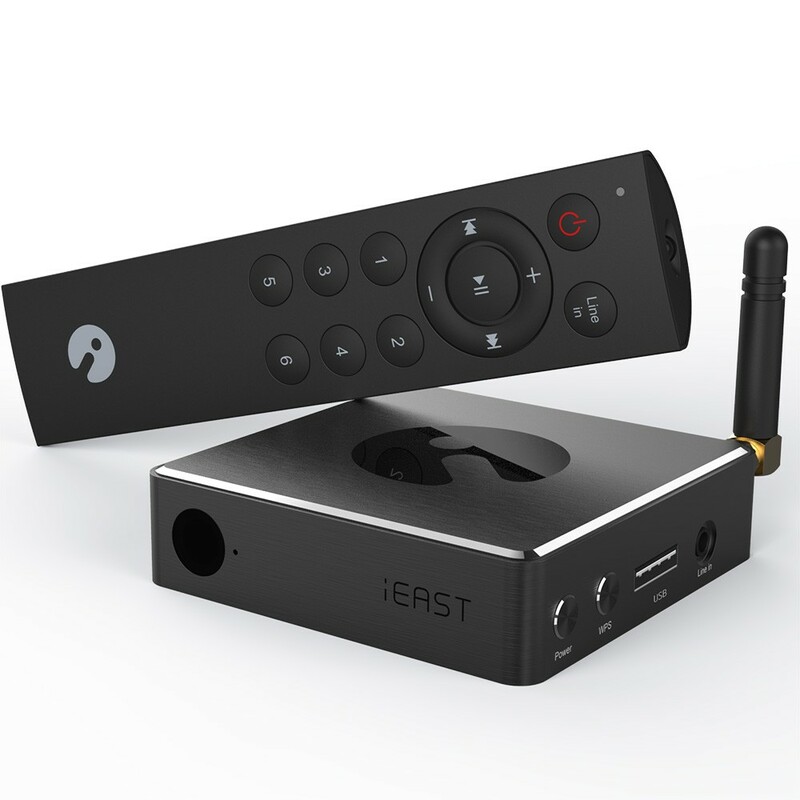 Connects to active speakers, iEAST Stream Pro will turn your traditional audio system into wireless, which allows you to control the wireless audio system in much more convenient way. iEAST Stream Pro does not require technical or wireless expertise. Connect the iEAST Stream Pro to active speakers in the room where you want to play music, connect to your home WiFi network with the iEAST Play application, which provides simple on-screen prompts and voice prompts. With several steps, you will be playing music in few minutes.